David Stovall has been working with concrete since 1968. The first decorative product he used was the Kool-Deck® coating for pool decks. David now uses a lot of the acid stains, and adds a lot of innovative techniques to achieve unique designs. 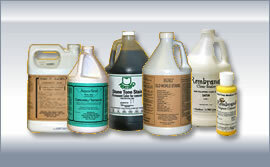 His Begneli line of stains offers colors and products not available anywhere else. If your dealer doesn’t carry it…Demand It!